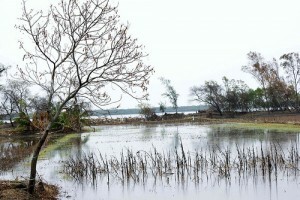 A major portion of the Sunderbans is the South 24-Parganas district. Alipur, situated close to Kolkata city, is the headquarters of this district. Rail: Canning is connected by train from Kolkata. Road: Canning, Sonakhali, Namkhana and Raidighi, which are connected by roadways from Kolkata. River: Luxury buses take the best and safety way to reach the Sunderbans is to board M. V. Chitrarekha or M. V. Madhukar, the luxury launch services operated by WB Tourism from Sonakhali or Namkhana upto that places tourists. Agro-Horticultural Society Gardens: Founded in 1820 by Dr. William Garey, this garden is located adjacent to the National Library gardens. The annual flower show held in the first week of February transforms the gardens into a blaze of colour. A beach of great natural beauty, Bokkhali is an ideal get away for the weary traveller. Swaying palms and the cry of seagulls can beheard everywhere shades its golden sands. 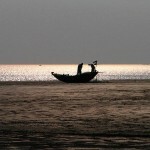 The southernmost island of Jambudwip can be reached by boat from Bokkhali. Diamond Harbour is a beautiful picnic resort on the Hugli river, as it bends towards the sea., It was once the anchorage for vessels of the East India Company. Form here, one can take a motor launch trip to the estuary. 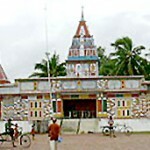 A cyclone-prone ‘outpost of civilization’, Sagardwip is considered as one of Hinduism’s holiest spots. Situated in the delta of the river Ganga, the island attracts thousands of pilgrims every year during Ganga sagar Mela (Fair). This three-day festival is held every year in mid-January, n Makar Sankranti day. The pilgrims first immerse themselves in the holy water before proceeding to the Kapil Muni Temple, named after the sage who is believed to have meditated here. Sajnekhali Bird Sanctuary: Located in the Sunderbans, Sajnekhali is truly a treat for bird watches. Several colourful species, including Kingfisher, white bellied sea eagle, plovers, lapwings, curlews, whimbrels, sandpipers and an occasional pelican can be seen here. Tiger and fishing cat are the main mammals seen, a museum and the Olive Ridley Turtle Hatchery are also located here. Best season to visit is July to September. Zoological Gardens: Established in 1876, the Kolkata zoo sprawls over 41 acres and is the largest and one of the best in Asia. Located amidst well-maintained lawns, plants and trees, the zoo houses a wide variety of animals, birds and reptiles including the Royal Bengal tiger, white tiger and crossbred lions and tigers. A 200-year-old elephantine tortoise can also be found here. Migratory birds visit the zoo lake during winter. 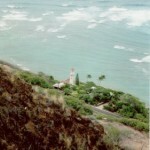 An exclusive reptile house, aquarium and children’s zoo are the added attractions here. This entry was posted in South 24 Parganas, West Bengal. Bookmark the permalink.